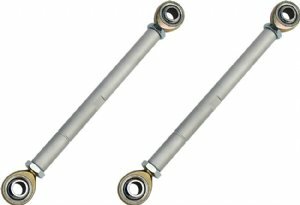 Unlimited tuning of your front swaybar is yours with these double adjustable endlinks from the leaders in Ford suspension dynamics! 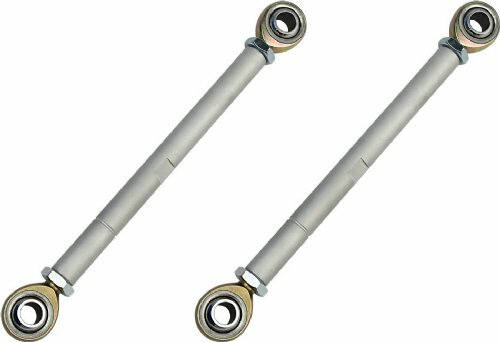 Rod end bearings prevent bind as the vehicle suspension moves through its range of travel. Recommended for competition use only. Will increase front end NVH (noise, vibration, and harshness) in street applications.